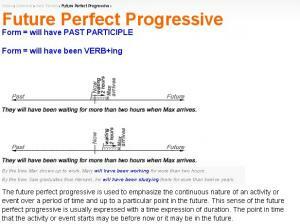 Learn how to use the future progressive and future perfect tenses as you watch the video. Test yourself with the examples as you go! 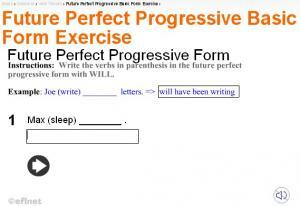 An exercise to form verbs in future perfect progressive tense. 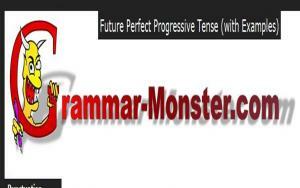 An exercise on writing negative sentences in future perfect progressive tense. 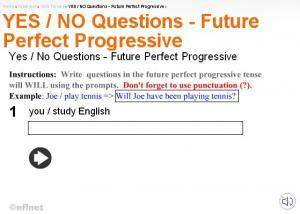 An exercise on writing 'yes/no'-questions in future perfect progressive tense. 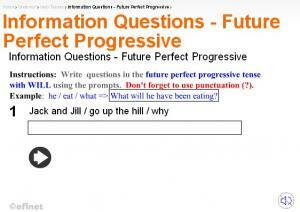 An exercise on writing 'wh'-questions in future perfect progressive tense. 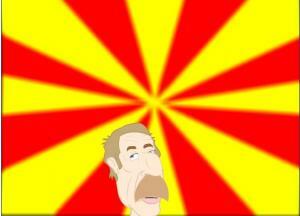 We use the future perfect continuous tense to talk about a long action before some point in the future. Look at the examples given and use the game to check your understanding. 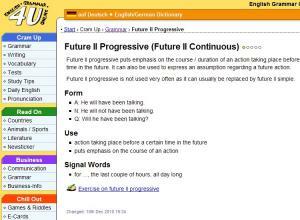 Examples are given on how to use the Future Perfect Progressive Tense and a test is available to make sure you have understood its form. 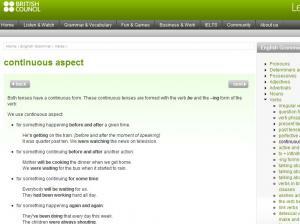 This page explains how to form and when to use the future perfect continuous tense in English. There is one exercise for you to practice the use of this form and it will tell you if you got the answers right or wrong. 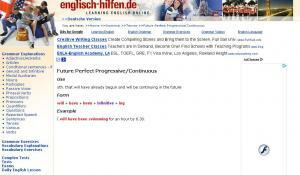 The page describes when to use future perfect progressive tense. 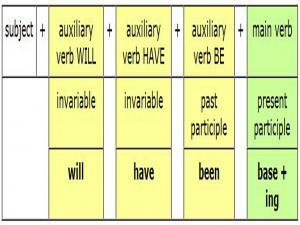 Accurate, but very basic description of the future perfect continuous tense with one example. Look at the use and form of the Future Perfect Continuous in positive, negative and question sentences the take the quiz at the end to ensure your understanding of the tense.